Pressure washers are the ideal product to have if you regularly need to clean a variety of surfaces. Offering exceptional performance and value for money, pressure washers from System Hygiene are compact and lightweight with a variety of features that make them a great purchase. 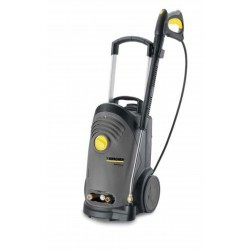 With a height adjustable handle, triple nozzle and a three-piston axial pump, our range of pressure washers are able to clean a range of dirt types to a high standard. With easy manoeuvrability, this range of pressure washers are safe to use and have an option for low energy consumption.